Que cores, que luz... um show!!! Me gustan mucho Leovi! Bello trabajo y composicion. Esas burbujitas debajo del pico es egamento ? esta pegadoa algo ? Ay Leovi ese color fucsi me enloquece! Bendito color que existe junto al naranja y rojo ! Absolutely gorgeous, you're so good! I love the 3-dimensional quality of this composition. oh just beautiful, love the colours too. Beautiful composition. Thanks for linking up with Color Connection. Una bellísima lágrima furtiva para morir de belleza. Sublimes, para mis azules, la primera y la tercera. Really like the first one! With the superb voice of Mario Lanza, enjoy your colorful and original work of art, Leovi!!!! Your pictures are gorgeous, Leovi! Beautiful eye candy with such simple objects ~ brilliant! Lo que me alucina de tus fotos es que me muestras cosas que a diario paso por alto, pero que son todo un universo. Por eso: gracias. 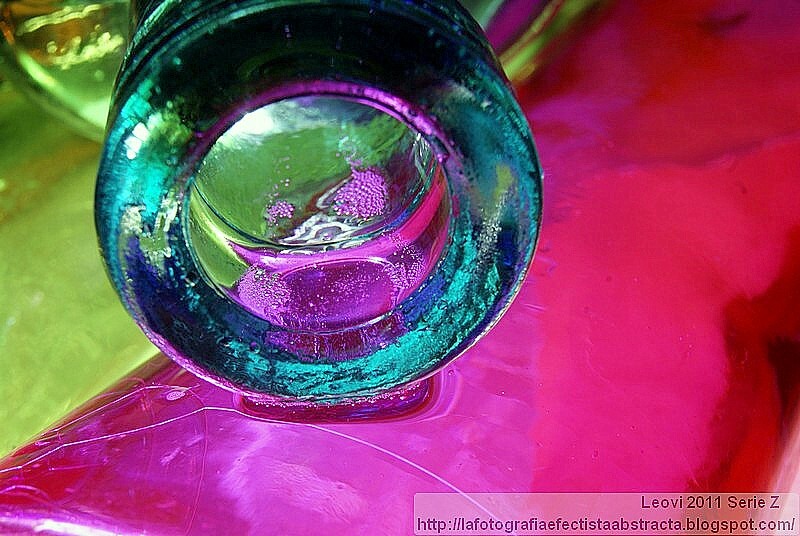 Buenas fotos y bellos colores. Saludos.
! !Son preciosas! !, la foto y el colorido!! Fantásticas las tres, la segunda flotando en el propio elixir, increíble. Un elixir tentador, con tu permiso me llevo un poquito. So cool and each of them look stunniN! Gorgeous capture, Leovi, as always! The colors are exquisite and superb composition! Hope you're enjoying a beautiful weekend! I am actually coming to your site from the FOLLOWER linky blog hop, and am following you ! :-) Will you follow me back?? Thank you so much when you do. Magnífico elixir ese colorido, composición de las fotos. Me sorprende y me asombra como conseguir esas tonalidades. Magnificent, powerful colours! A bottle neck becomes an extraordinary piece of art! 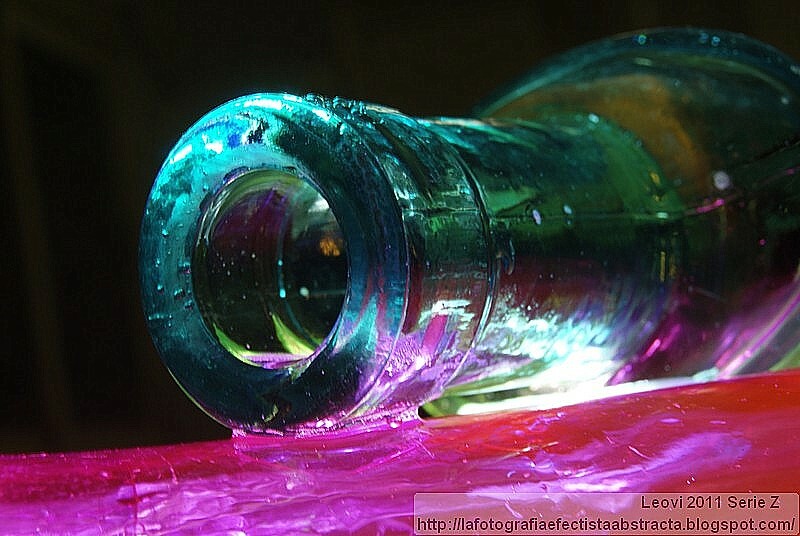 What a wonderful work of art just from a simple bottle. 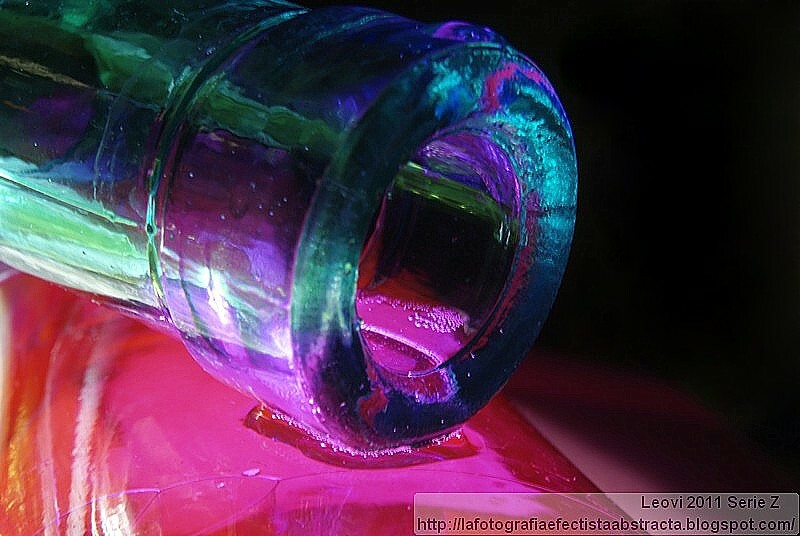 I never imagined the mouth of a bottle could be so beautiful! Great! Is this the bottle of Love Potion No. 9? haha. What a beauty! have a great weekend! Yes, these rock, all of them! You certainly have fun with glass. ¡Me gustan mucho estos fotos!¡Bien hecho! A beautiful use of colour and glass. I especially like that bright, beautiful first image. I really really love these botlles. STUNNING--You can study each shot for a long time!!! Uma composição fantástica com cores e luz maravilhosas. Stunning! I think these may be my favorites of all your pictures that I've seen. Love that 1st one a lot. Me quedo con la tercera y la teletransportación hacia el pasado de la canción escogida. Muy bueno el título, ójala existiese, verdad? Me remite a "El perfume", una foto tan colorista, dan ganas de beber de él, a ver qué pasa. That is really beautiful! Visiting via CC. Una serie estupenda, habitualmente no me gusta el fucsia pero aquí casa muy bien con el verde de la botella. The third one is amazing with its bueish pinky roundness and the little bubbles to lay on... I love it!!! Gorgeous colors and wonderful angles. :-) Visiting late from Color Connection, hope that you can return the visit too. beautiful colors, so lovely :-) Visiting from my 1st Pink Fridays entry, hope that you can return the visit too. very beautiful pink colors, super loved it Ms. Leovi :-) Visiting from my 2nd Pink Fridays entry, hope that you can return the visit too. only you can make a bottleneck this beautiful, leovi. :) visiting for color connection. Vau! Great colours and gorgeous wather =) Love these! Super fotos a preto e branco!